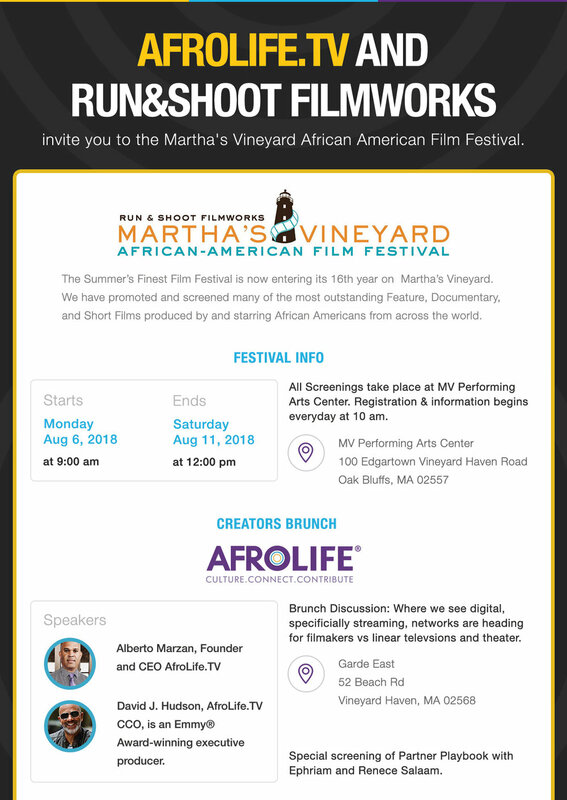 The Summer’s Finest Film Festival is now entering its 16th year on Martha’s Vineyard. The festival is responsable for promoting and screening many of the most outstanding Feature, Documentary, and Short Films produced by and starring African Americans from across the world. Brunch Discussion: Where we see digital, specifically streaming, networks are heading for filmmakers vs. linear television and theater.